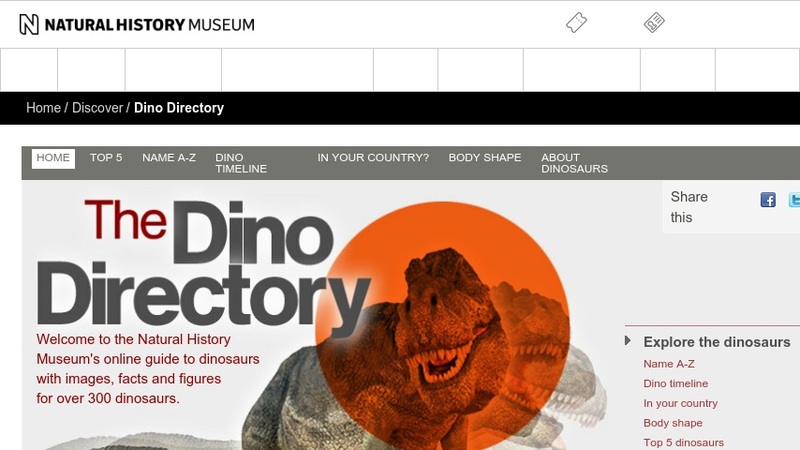 This site, from London's Natural History Museum, features images and descriptions of 325 of the most well-described dinosaurs. For each genus, there is a selection of images and information on taxonomy, size and diet, geologic time span, and locality. Directory information is organized in several ways: by general body shape and size, by alphabetical list of names, by timeline, by modern country, or by continent and era. The directory also includes downloadable, printable data cards for some dinosaurs, a spreadsheet of information, and suggestions for classroom activities.